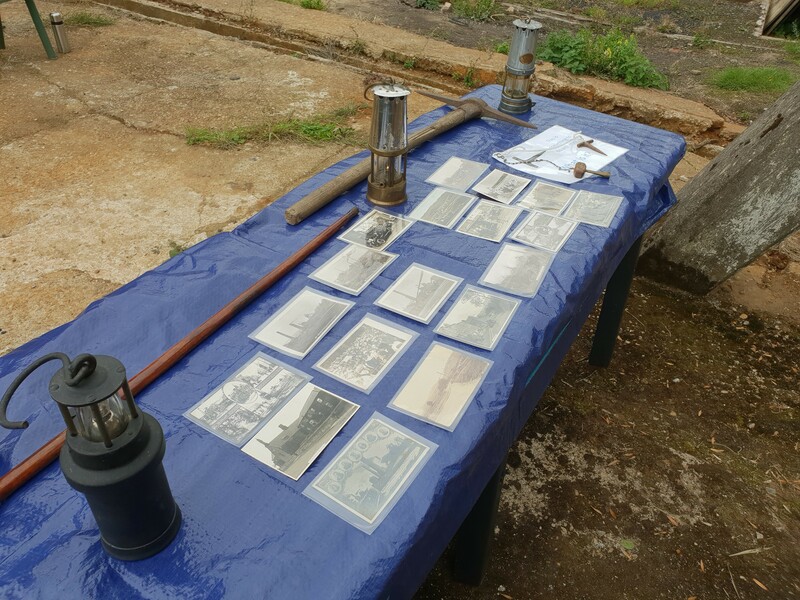 The second and final Heritage Open Day of 2018 began with grey and cloudy skies, though without the unbroken rains that preceded the previous weekend. Friends Chair Steve and regular volunteers Keith and Chris were on site to welcome another series of visitors to the site and provide walking tours of the surviving buildings and machinery. Setting up a display of mining tools, miner’s lamps and local photographic postcards of village and colliery life in South Yorkshire, the Friends were pleased to receive a number of groups during the day, and to show members of the public around the surviving winding engine equipment not normally on view, as well as offering the chance to look down the pumping shaft into the darkness! 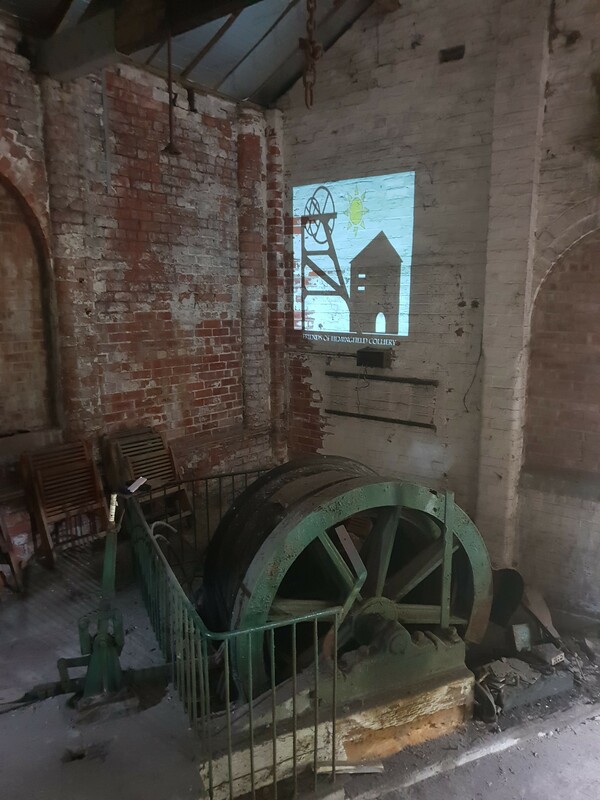 To shed some light on the history of the site, the Friends provided a short projector slideshow of images from the past, from the 1880s though to the 1990s. 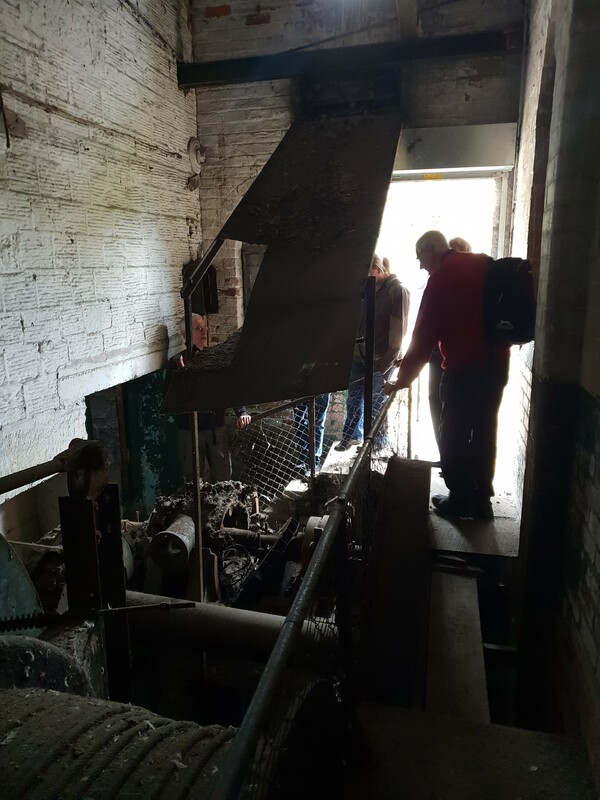 In the darkness of the lower winding engine house, this helped set the scenes for the surviving equipment, as well as providing some context for the changes in and around the pit, from the peak of its productivity, employing 300 workers, through to the dark days of its abandonment and decline. 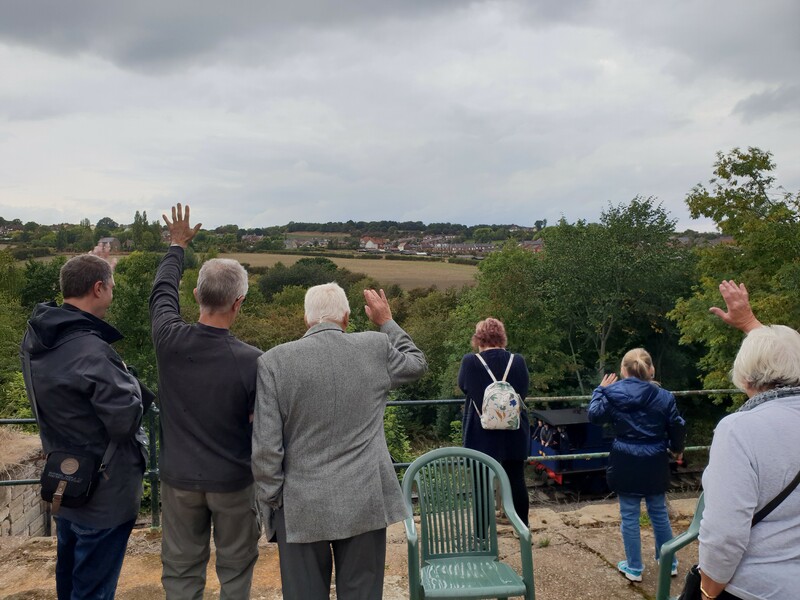 The Friends were pleased to receive a mixture of group and individual visitors to the site, and a range of ages, including family groups with young children, young adults as well as retired people. 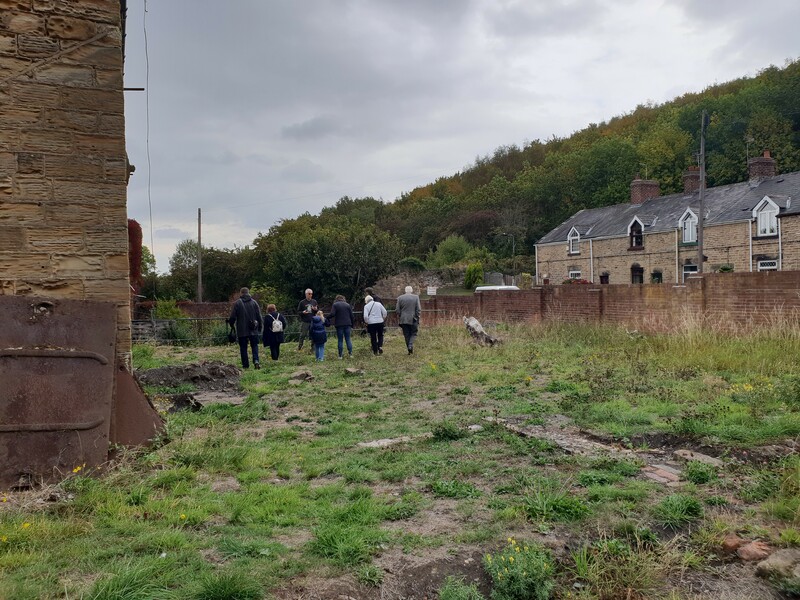 Many came from Sheffield and surrounding areas, as well as those who lived locally but had not previously taken the opportunity to visit the site. 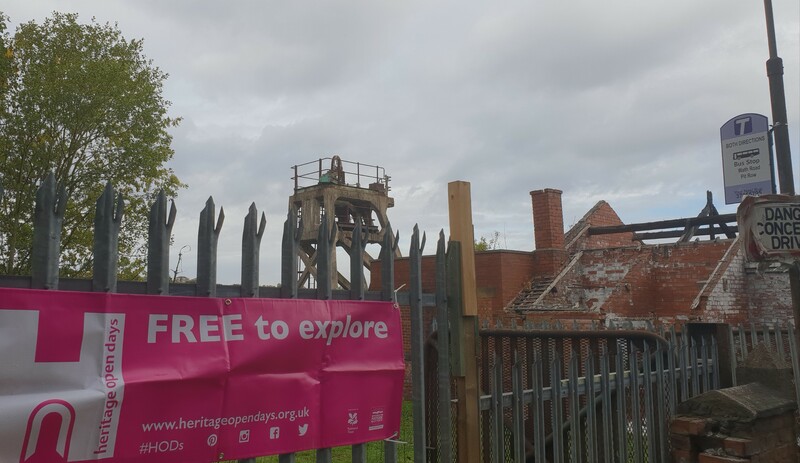 Our thanks go to the Heritage Open Day organisers for listed our site and others in the immediate area, the group of attractions, at Elsecar, by the Canal and Railway, makes a visit well worth the making.